What is the warranty on my new XMetal Targets product? Every XMetal Targets 3/8” AR500 center fire or rifle steel target or rimfire steel targets comes with a limited lifetime warranty. That means that any defect that might arise during the lifetime of the product will be replaced free of charge upon approval by our 1st class customer service department. That means that if a weld breaks, we’ll gladly replace that part for free and even pay for the shipping. We are confident in our products because the development cycle of every XMetal Targets steel target is rigorous and aimed at making the best, most durable and the best engineered steel target possible. NO shortcut is tolerated; your investment will lasts for years to come. You have to remember that steel targets do have a lifespan and normal wear is expected from our steel targets too. Multiple impacts at the same exact spot over time will cause some dents, craters or cracks down the road and that will be the sign that you need to retire that faceplate for your safety and the safety of everybody using your steel target. We always recommend that you check for deep marks, on your steel targets before each usage because a smooth flat surface provides a predictable splatter pattern. 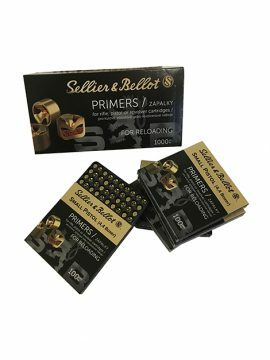 Our design is made to control and dissipate those splatter but a dented/cratered/cracked targets has an unpredictable splatter pattern that could compromise your safety and the safety of everyone at the range. All our steel targets are made to resist regular bullets, that means that armor piercing, steel core, bi-metal, multi-core bullets will permanently damage the steel targets, be dangerous to use and will void the warranty of any XMetal product. The same is also true for the use of bullets travelling over the 3000 fps (muzzle velocity) limit at less than 200 yards. Remember, we built these steel targets and happily tested them so we know their limits and the results of going over the limit. All warranty claims will be analyzed before approval to make sure that our steel targets were used within our safety guidelines and limits. What type of steel do you use for your targets? All our centerfire steel targets are made out of the highest quality available AR500 steel of varying thickness from 3/8” up to ½” depending on the caliber intended. For example, our centerfire line uses 3/8” thick AR500 plates to ensure the best durability and the proper response and calibration for the moving targets and for .338 Lapua and .50 BMG we uses ½” thick AR500 plates to withstand all that firepower. Our rimfire line of steel targets uses ¼” thick AR400 plates for the target faces for the best combination of durability and value. There’s a bit of controversy surrounding the method to cut AR500 steel, AR steel (or Abrasion Resistant) is a particular type of steel that is specially formulated by integrating specific additives to the mixing process while making the steel plates. The plates are then quenched and tempered through in a special process to get the proper hardness and ensure a consistent result. Here at XMetal Targets, we have more than 15 years of experience in the metal industry and we know that metal hardness is variable from batch to batch even with the best suppliers . AR500 steel is rated at a nominal 500 Brinell but in fact brand new plates from the manufacturer can have a hardness rating from 475 to 530 Brinell. That is why every single AR steel plate used for our product is specially certified to be 500+ Brinell on multiple points for hardness uniformity before our production process begins by our quality control team. Too often in the past when testing different steel targets available we discovered that the quality of the material was really not what was claimed and the result ended up being unsafe. We knew that for our steel targets we needed to be extremely thorough in our selection to ensure that our clients get their money’s worth. We take our customers satisfaction extremely seriously and that is why we make everybody in the supply chain go the extra mile to make sure that when you purchase a XMetal Targets product you get the best steel targets possible. How do you cut the AR steel plates ? One of the main claims that we often hear about steel target is the way it is cut to ensure that the plate is not subjected to extreme heat that would affect its structural integrity. AR steel has one big particularity apart from its toughness, it is sensitive to heat. This is exactly the reason we don’t weld our reactive element to the back of our plates because, the heat from welding would make the plate softer. In order to cut steel plates to make steel targets you need to be careful not to heat the material too much otherwise it loses its toughness and becomes brittle on the edges. At XMetal Targets, we are lucky enough to have the best technology available in-house in our factory to make sure that the process we use is yielding the best results. Throughout the development of the XMetal Targets line of steel targets we did extensive testing with both our laser cutting and our high definition plasma cutting machine and we can finally put the definitive nail in the coffin of the myth that plasma damages more the AR steel. When using the right machine with the right settings both cutting technique yield the same results. A high definition plasma cutting machine will not damage the steel more than a laser cutting machine. When dealing with thickness of 3/8” to ½” a laser cutting machine will be more precise with fine details but slower than a high definition plasma cutting machine. Furthermore, we use both of them for our various systems, all our UTLS brackets and moving parts are all cut by our laser cutting machines for maximum precision and all our faceplate are done with our high definition plasma cutting machines to be able to cope with the volume and the size of the plates. Over the last 15 years in the business of high precision metal cutting we’ve experience with every possible technologies, material, technological breakthrough and we can assure you that we would not compromise our customers satisfaction by cutting corners on the main cutting process for our products. We wanted to call our steel targets the best on the market; we have no other choice but to use the best equipment to build them. 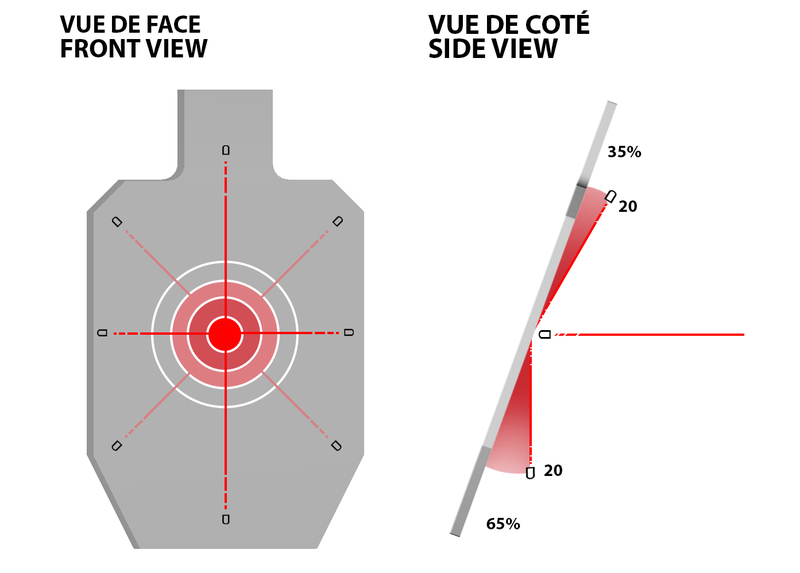 What is the safe distance to shoot at a steel target? When using firearms, safety should always be the main priority whether you are using our steel targets or not. Steel targets are a safe and fun way to practice shooting as long as you always respect the minimum shooting distance. For handguns, the absolute minimum distance is 10 yards but we recommend at least 15 yards. For rifles up to .308, the absolute minimum distance is 100 yards with non steel core, non bi-metal, non multi-core bullets. For shotguns slugs, the absolute minimum distance is 100 yards. For higher caliber rifles like the .338 Lapua and the .50 BMG we recommend a distance of at least 200 yards with non steel core, non bi-metal, non multi-core bullets. For our rimfire products, the minimum distance is 15 yards except .17 rifles which have a minimum shooting distance of 100 yards. It is also extremely important to always wear proper protection when shooting any type of firearm. That includes: impact resistant CSA approved eye protection, ear protection and proper clothing. Always use caution when setting up your steel targets and keep in mind that the splatter of the bullets can go in any direction even if our targets are design to direct the splatter to the ground there is still a possibility that it can come back at the shooter if the minimum distance is not respected. The usual splatter pattern for a flat surface target like the XMetal Target is about 20 degrees in every direction from the point of impact (see figure below) so always make sure that this area is clear of anything. By mounting our steel targets at a 20 degrees downward angle, we are able to control the direction of most of the splatters (roughly 65%) are directed to the ground while there’s still around 35% of the splatters that will go upward before falling back (see figure below). Why should I choose XMetal Targets over the other manufacturers? Here at XMetal Targets we decided to make steel targets because we love shooting but we always managed to find fatal flaws in the different models we tried over the years. Whether it’s poor design or questionable metal quality, we were getting to the point where we knew what we wanted and couldn’t figure why the manufacturer didn’t put more thoughts in their products. So we decided to create our own steel targets and put them to the test and rethink everything. We proceeded to rethink and redesign commonly used steel targets from the ground up knowing the problem and flaws we’ve witness over the years and providing our customers with a product tailored for their needs. The result is a line of steel targets that we would proudly put against any out there and we know we’d come out on top every time. We only use the finest quality AR (Abrasion Resistant) steel to ensure your safety and that your investment will be worth it and last. Our design team also worked very hard to develop some innovative solutions to common problems and design flaws like our no-weld design on every centerfire steel targets to ensure that none of our targets hardness has been lost by the heat required to weld mounting brackets or reactive element to the back. You’ll also notice that all our steel targets may seem a bit loose in firing position, don’t worry we did that on purpose to give them just enough movement when hit to help dissipate the force of the impact and give a longer life to your steel target. A stationary 90 degree steel target has to absorb all the force of a bullet, that is why we put all of ours at a 20 degree downward angle to deflect part of the impact and also why we give our targets a bit of movement (what you might think is loose) so that when hit the movement further dissipate some of the energy. 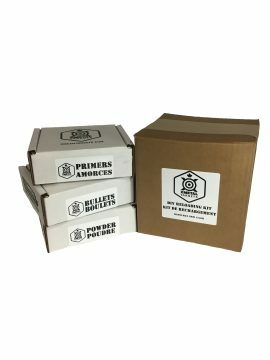 What if I need replacement parts for my targets? Since we all know that at some point your steel targets will need to be replaced we’ll be happy to provide you with replacement parts for any of our steel targets models. Just contact us at the address info@xmetaltargets.com and we’ll be glad to help you. What if somebody has used an armor piercing round on my target and now I see through it? If your steel target as been hit by an armor piercing round or if you begin seeing dings and crater on the faceplate, we strongly advise you to stop using it since the surface as lost its integrity and we can no longer guarantee the safety of the users. A missed shot hitting the hole could mean unpredictable splatter that could have a dangerous velocity. In cases like these, better be safe than sorry and simply replace the target. We try to keep our prices at the lowest for the replacement steel targets to avoid people sticking to their worn out and dangerously dented plates because of the price of the replacement. We want you to have fun shooting and be safe doing it so that is the least we can do. If you need replacement parts that are not already on the website contact us at info@xmetaltargets.com. Usually your order will be processed within 3 to 5 business days, in some cases if we are in production of a particular model the delay can be a little longer but we try to keep a good inventory and we accommodate as much as we can. Please contact us directly to check for availability or if you have a deadline. For any other information please see our shipping policy.